It's the eve of Luxembourg's national day and after it's official beginning with the solemn changing of the guard at the palais and a balcony appearance by the Grand Ducal Family, the Hereditary Grand Duke and Hereditary Grand Duchess made their traditional visit to Esch-sur-Alzette. Meanwhile, Grand Duke Henri and Grand Duchess Maria Teresa visited Mondorf-les-Bains in the south of the country. But let's start with Esch (and get to Mondorf in an extra post): It has been a tradition for decades that the hereditary couple makes a visit to Luxembourg's second city on the eve of the Grand Duke's (or Grand Duchess's) official birthday. And so Hereditary Grand Duke Guillaume and Hereditary Grand Duchess Stéphanie arrived in the Minette metropolis at 5pm, where they were welcomed at the Place de la Résistance by the President of the Chamber of Deputies Mars di Bartolomeo, Ministers Lydia Mutsch and Dan Kersch as well as Esch mayor Vera Spatz and a few other dignitaries at 5pm. After the laying of a wreath of flowers at the war memorial, they made their way to the city centre of Esch. 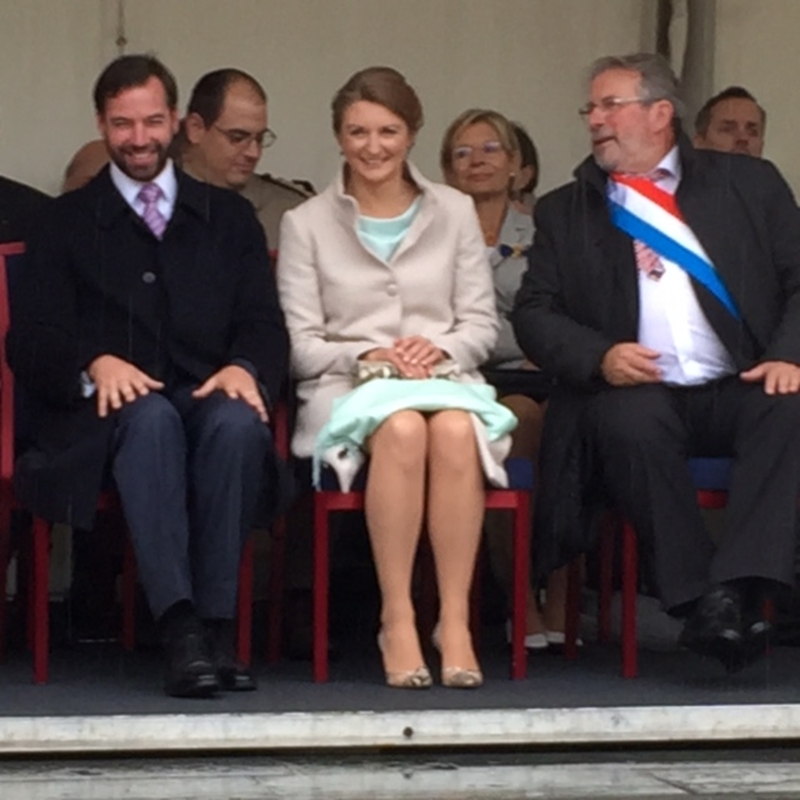 On the place in front of the town hall, the Hereditary Grand Duke and Hereditary Grand Duchess then watched a parade of the associations and clubs of the town. This was followed by a short reception hosted in the honour of the royal guests and an appearance on the balcony. Afterwards, the Hereditary Grand Ducal Couple made their way to the Escher Volleksfest, a public fair celebrating National Day, where they mingled with the people and lit a fire together with young scouts.